The events in Ferguson, Missouri have propelled several issues afflicting the black community to the forefront. In most inner cities, it is common to find a church on every corner, which leads me to wonder what the pastors in these communities are teaching the people. Rev. Fred D. Robinson wrote a scathing article entitled What God is screaming in Ferguson, Missouri. He made no bones about preaching Social Justice over the biblical teaching of repentance of individual sins and salvation. He feels that churches should address social justice and structural racism. He blasted a fellow white Christian and preacher for wanting prayer and calm in the wake of the riots and unrest in Ferguson instead of lamenting what he called the modern-day lynching by law enforcement of innocent black bodies. It ignores the fact that we have to do more than call sinners to repentance, we have to call societies, systems and structures to repentance as well. But you are a chosen race, a royal priesthood, a dedicated nation, [God’s] own [d]purchased, special people, that you may set forth the wonderful deeds and display the virtues and perfections of Him Who called you out of darkness into His marvelous light. Pastors are supposed to preach love and forgiveness, not hate and grievances. There is no place for racism and divisiveness in the church (from anyone). The church is where men and women go to learn of God’s love for them and receive His forgiveness. The Bible does not say that preachers are to call societies, systems and structures to repentance. It does teach that pastors are to call men and women to repentance. Whereas the Christian message teaches that individuals are sinful, Social Justice places blame and responsibility on society. Anyone that claims to be a pastor and refuses to preach individual sin and salvation has abandoned God’s calling. Assuming that God called him or her to begin with. Preaching victimhood is also against Biblical teachings. Christians are not victims. Pastors should preach uplifting sermons taken straight out of the Bible. An individual may walk into church a victim; however he or she should walk out a victor. I have strength for all things in Christ Who empowers me [I am ready for anything and equal to anything through Him Who [g]infuses inner strength into me; I am [h]self-sufficient in Christ’s sufficiency]. “If God is for us, who [can be] against us” includes the supposedly structural racism that Rev. Robinson is so concerned about. Years ago I had an older black Christian female friend who would constantly speak about her faith in God, however; she would also lament about how racist whites were oppressing and holding back black Americans. One day I asked her if white people were more powerful than God. She was speechless. Rev. Robinson would have one to believe that God is screaming because of racism and inequality. However, the bible tells us that man’s sin is what grieves God. 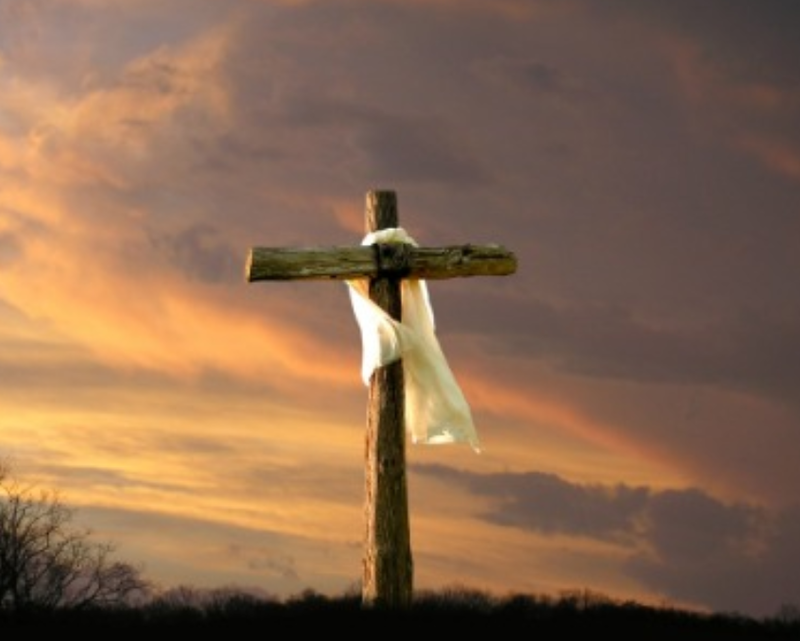 Our sin grieved God so much that He sent His son Jesus to die and pay the price for it. If black pastors are preaching Social Justice in place of the Christian message taken straight from the Bible, there is no wonder the black community is in so much disarray. If the black church fails to teach against the sin of fornication, there is no wonder 70% of black babies are born to single mothers. If black churches are teaching black Americans that there is structural and institutional racism instead of telling them that God is on his or her side, there is no wonder that there is so much anger and destruction. The continual destruction of the black family is a sign that black pastors need to put down the sociology books and pick up the Bible. I agree with many of Ms Dickson’s point, but why can’t we have both? I read Rev. Robinson’s piece and I think his point is as you highlighted above. I understand this to mean just like abortion is the killing of the unborn, is sin, the killing of the innocent by police (and I am not sure about the incident in Ferguson, but there are many other examples) and the greater society that allows these murders to go unpunished if murder also. I will take this point further that killing of innocents in abortion is sin and the killing of innocents by the forces in Iraq was sin also. What was the reason we went to war? Why are those innocent casualties ignored by most pastors? Thank you so much! I found your blog through an American Thinker piece and added it to my reader. I was delighted to read this post. I was going to write a similar post called “‘Social Justice’ and Christianity” wherein I discussed the need of “social justice warriors” to paint everyone that wasn’t a straight, white, male as a victim of some sort. I had read a post by a theologian and seminarian who supposed that social justice was a natural extension of Christianity – but it isn’t! We aren’t perpetual victims, we’re more than conquerors. We aren’t evil oppressors, we’re the righteousness of God in Christ Jesus. We aren’t men, women, slave, or free man – we are simply in Christ. I may still write my piece, but you have honestly covered every point I was going to make and done so in a much more loving and eloquent way than I would have been able to manage. Perhaps instead I’ll just lead people here.